If you’re returning to DJing as a digital DJ but still have a vinyl collection, or are considering making the switch but are scared about what on earth you’re going to do about your “vinyl mountain”, then ripping your old records to MP3 is probably high on your priority list. Luckily, with some planning and a bit of understanding, such MP3s can sound fantastic. This isn’t a list of instructions, as everyone’s circumstances will be different. More, it’s an introduction to the topic and the issues, with some tips to help you get it right, if and when you decide to go ahead and so some ripping. You have 3 basic choices (there are plenty of other ways of doing it, but these are the main ones). What you go for depends upon your budget, and what you already own. 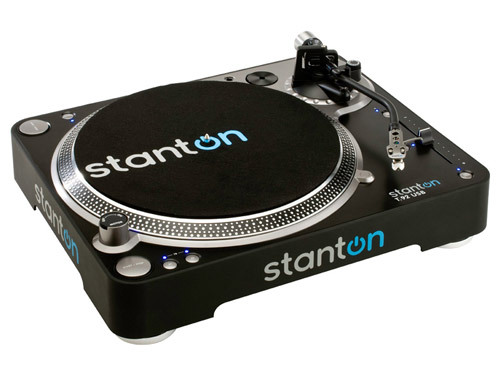 The Stanton T.92 USB turntable is a good choice for vinyl ripping. If you want just one piece of equipment to do the whole job, then go for a USB turntable. This is a special record deck with a USB lead to plug into your PC. It has all the circuitry built in to it that you need to send a digital signal to your PC. 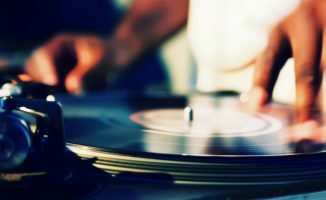 The first thing to say is: Avoid the USB turntables you see in magazines and retail outlets, from brands you’ve never heard of and at low prices. Would you use one of those in a night club? No. Then don’t use one to do a one-and-only rip of your favourite records. Not if you expect the MP3s to sound good, at any rate. 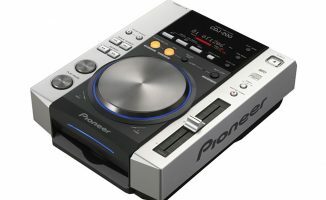 Reputable models include the Stanton T.92 (US$296 / £249 / €279), and the Numark TTTX USB (US$338 ). If you already own a turntable, you may already own a mixer. You may also own a sound card. But unless your sound card has audio inputs as well as audio outputs (and most DJ sound cards don’t), you will need a separate sound card. What you do is feed the “record out” or the “master out” from your DJ mixer into the sound card, which converts it to a digital signal and feeds it into your PC via a USB or FireWire cable (it’s usually one of these, anyway). Your DJ mixer has an RIAA phono pre-amp built into it to make the signal from your needle loud enough for the sound card to do its job, and really that’s all we’re using the mixer for here. Make sure your mixer’s pre-amp is good quality (do some Googling…) and choose a decent sound card. The minimum tech spec is 16bit/44.1kHz, which is the equivalent of CD quality, everything else notwithstanding. If you don’t own a sound card and want to buy one you can use for DJing too, it is possible to get a sound card that will do both jobs for you – there’s a couple in our recent DJ sound card round-up that also have inputs, for instance. If you have a decent turntable but no mixer (or a rubbish mixer that you don’t want to subject your vinyl for eternity to), and especially if you’re going to have to buy a sound card anyway for your DJing, you may as well go for one of the models that has the ability to rip straight from vinyl as well as its DJ features. 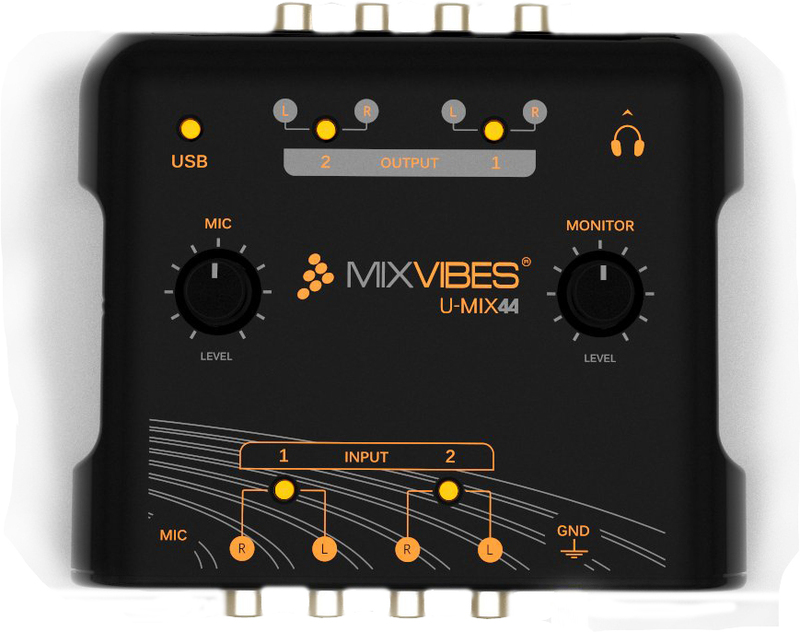 The Mixvibes U-MIX44 is a good value sound card for ripping straight from vinyl and general DJ use too. These sound cards effectively have the vinyl pre-amp but and the bit that turns your signal into digital to send down the USB to the PC, all in one. Again, if you’re going to need a sound card anyway for your DJing, look for one that can do both functions for you such as the Native Instruments 4 (US$199 / £154 / €182) or the Mixvibes U-MIX44 (US$99 / £72 / €85). Alternatively, if you are never going to need a DJ sound card and simply want one for ripping vinyl, a popular record-only models is the Art USB Phono Plus (US$66 ), which I have got and is excellent. 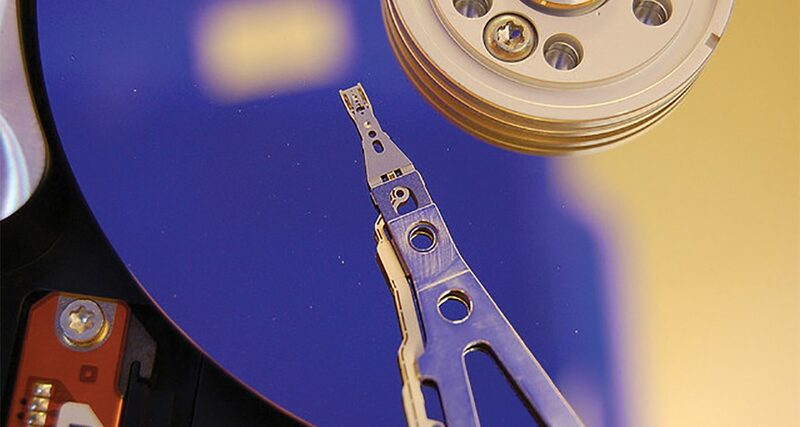 The minimum tech spec to look for is 16bit/44.1kHz – the same as CD sound quality. The more astute may have noticed that we keep carping on about “sound cards with inputs”. Hang on, you may be saying, my laptop has a Line-in. Why not feed the signal into that? Of course, if you have a desktop computer with a good dedicated sound card then that’s different, but if you have a laptop with integrated sound, it won’t be good enough. …and you’re ready to go. 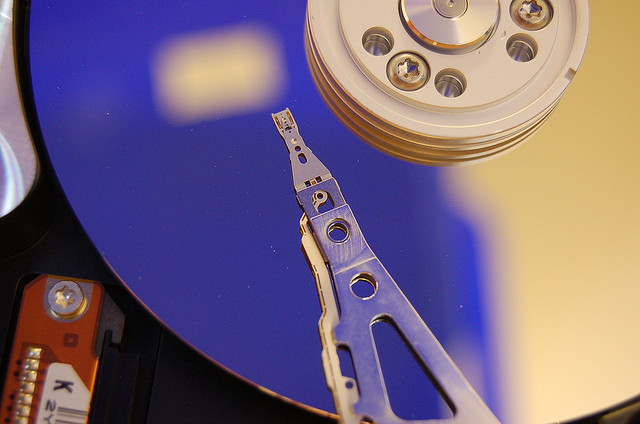 Ripping software may come with your USB turntable or sound card. By all means give it a go. Follow your ears, though. It’s not likely to be the best of the best, and Audacity does the job very well indeed. Some manufacturers have thrown the towel in and just point you to Audacity anyway, nowadays. 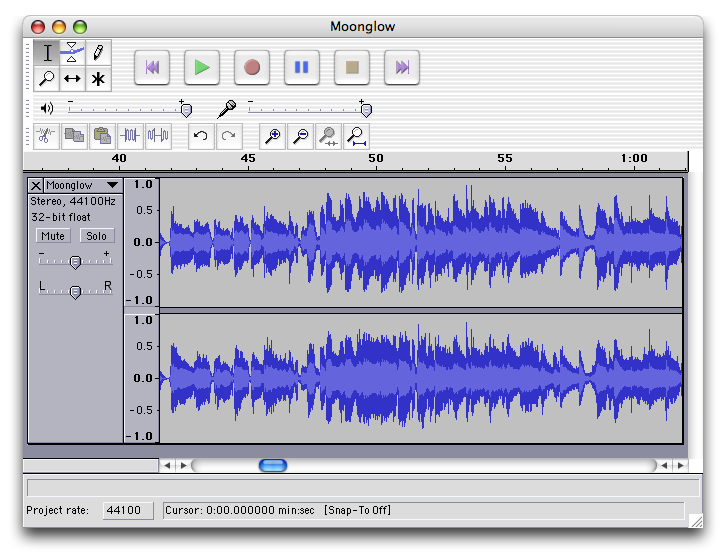 Audacity is an excellent cross-platform, open-source audio manipulation program. If your cartridge is cheap, buy an expensive one. If your needle is older than “nearly new”, get a new one. If your leads are ropey, get hi-fi leads. If your kit can be earthed, earth it. If you’re in a noisy, vibration-filled room, move to a quiet one. If people walk around near your turntable, move them (or the turntable). While we’re at it, clean your records (unless they’re just out of the plastic from the shop). It’s to get the recording level right. Levels should be as high as they’ll go “in the green”. If they flick into the red, it should be momentary and only slightly. This is important – too high, and the signal will “clip”; too low and any residual noise is proportionately louder to the music. The best advice I can give here is trial and error – and use your ears. So you’ve hit “record”, grabbed a file and hit “stop” at the end. You can now edit the silence away at the start and finish using Audacity, listen to check it sounds good, and save as an MP3. Keeping your meters in the green will stop harsh-sounding clipping. Record your MP3s at 320kbps from Audacity and you’ll be fine – set this in the preferences. Again, trust your ears. Run each tune through Platinum Notes 3. Platinum Notes 3 (US$98) corrects any pitch variations, gets the volume perfect, and does some other audio quality tricks. (As Platinum Notes prefers to work with WAV files, and can output MP3 320kbps files itself anway, I actually export as WAV from Audacity and let Platinum Notes encode the file as an MP3 for me when it’s done its magic). You can also look at MP3Gain, a free way to “normalise” volume across your rips (and your whole collection). Add artist, title, cover art etc – I use iTunes to do this manually, but there are lots of alternatives out there. Unfortunately, ripping vinyl is not the same as ripping CDs, both in complexity and in time needed! I ripped 20% of my vinyl collection on converting to digital, and it took me all summer. Still, I listened to some great music and pruned out some rubbish at the same time. And once you’ve done it, you can put your old vinyl away somewhere safe, knowing that your digital versions are as good as they can be and that all the wonders of digital DJing now await you. Have you got a mountain of vinyl to rip, or have you just done it? Made any mess-ups or got any extra tips? Please share with us in the comments. Being a hip hop producer first I always had at least one turntable around to sample my Dad’s records. I use Pro Tools so I run it through my 12 channel mixer and stereo out into my Mbox and do all the editing to make it sound better than the original vinyl. A great advantage to have before I got into digital DJ’ing recently. I use a Thorens Belt Drive turntable with a Grado system to record my vinyl using Wavelab. I clean the needle and dust the record as much as i can, also rinsing the record with luke warm running water and a drop of washing liquid using the tip on my finger helps clean the grease off. Also, i try not to manipulate the loudness on the recorded material. Also, forgot to mention here- i only play Wav files, i feel that harddrives arent that costly anymore so i dont bother using MP3’s- never have been an MP3 fan. So the conversion doesnt even come into question for me. I second that..there is no need to day to buy or rip anything in a lossy format. made the mistake of buying a lot of my initial Beatport tracks in MP3, now I only buy AIFF. Please don’t don’t promote the dumbing down of musical quality. I honestly don’t care about the argument that you can’t hear a difference. The fact remains there IS a difference in the quality of the audio, despite what you say you can hear. Be good to your ears. Do what’s right for you, buy we think 320 MP3s are the best choice for 95% of DJs, which is why we’re happy to promote (and DJ with) them. “As for the actual conversion from analog to digital, Get the conversion out of the computer altogether. Use an external sound card at all times.” What do you mean by that? Specifically “Get the conversion out of the computer altogether”. Hi Dennis, we always mention keeping the levels in the green. I prefer MP3Gain for normalising because it is non-destructive. And as we also say in the article, keep the A-to-D conversion away from the computer itself. Please elaborate on this statement “keep the A-to-D conversion away from the computer itself”. Thanks. As in, don’t plug into your computer’s line-in and expect its built-in sound card to do a decent job of digitising your music to WAV, MP3 etc. Use an external (USB/Firewire etc) sound card. IMO you should never use a belt-drive device to record into the computer. I used ION USB Belt-drive but when it came to mixing the songs in Virtual DJ the Beats would go out of Phase i.e. the graphic wave and square that represented the position of a beat started to go out of sync/phase at the end of all the songs that were recorded using Belt-drive. To Tommy – that’s rough, have you looked to see if there is a plugin for Wavelab or Audacity or something that can batch-process them to correct that? Just a thought. Dude I can’t even get the beats to stay in sync with a Direct drive turntable. Would you please be able to help with that? 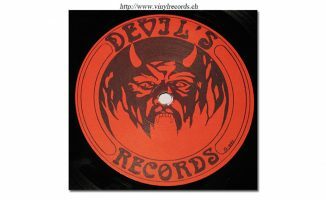 How old are these records you are converting? Please beware that lately loudness wars have kicked in, and music has been remastered to boost certain aspects such as bass. If you want loudness (I’m against this btw), you need to compress the audio. If you just want the levels to reach the loudest can, you can normalise the audio so the loudest bits of the music reach the top without affecting the dynamic range. I digitise vinyl with my rane ttm 56 with equalizer on the middle and with traktor, you said to record with the mixer but how to have good bass medium and treble as on cd or digital edit. Is the best way to record with traktor or within the line in on the computer and audacity ? Good advice all! 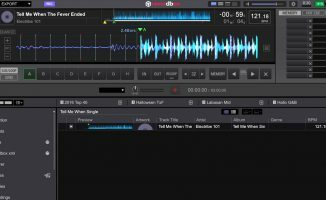 I’ve been doing it by running my new Stanton table into a “live input” on deck D on my Traktor S4, and just using Traktor’s built-in recorder. I adjsut the track gain and recorder gain to get the levels right, use a little EQ if I want, hit record and play. Traktor exports the WAV for me automatically, and I keep it in that format. This article came at the right time. I’ve been looking at USB turntables to rip rare dance/house classics from vinyl. Thanks Phil!! I bought a record from a resale shop the other day and it turns out that your parent’s old turntable from the 70s that’s been sitting in your garage might not have the best sound quality. I recommend getting a new turntable or at least a new cartridge for these things, something I’m planning on doing once I get the money. This is really the big issue. Even Technic 1200s don’t play records at a steady enough rate for the tracks to be useful if you’re planning on letting your mixes ride for more than a bar (house). I’ve found that bumping the pitch up or down so it’s not at zero and in that weird dead zone on the slider helps some, but it’s still not perfect. Anyone else have any tips for making a 1200 drive more steady so the digital recordings play nice with perfectly quantized tracks? I’m a total beginner to turntables. I have a small collection of vinyl that I want to convert. I would like a versatile piece of equipment than can be used to both DJ and convert vinyl to lossless …would that Stanton T92 do the job? Or is that only intended for vinyl ripping? I have a PC with a steinberg cl1 interface and ableton, if that’s of any significance. Yes you can Dj on those too as well as rip.